The Energy Charter Secretariat recently held an expert meeting and workshop with the aim to support the Government of Azerbaijan in the creation of a draft law on energy saving and energy efficiency. The event, which took place on 24-25 October in the country’s capital Baku, brought together over 40 representatives from the Ministry of Energy, other relevant ministries, state committees and energy industry companies. Experts analysed case studies from European Union member states and two other Eastern Partner countries – Moldova and Ukraine – to illustrate how to draw up national action plans and promote energy audits and ISO energy management systems in industry. Public utilities have been designated by Azerbaijan as one of the key economic sectors for development by 2025. This includes improving the efficiency of existing power stations and their capacity, reducing gas and electricity losses in transmission and distribution, as well as enhancing the overall legal and regulatory environment. 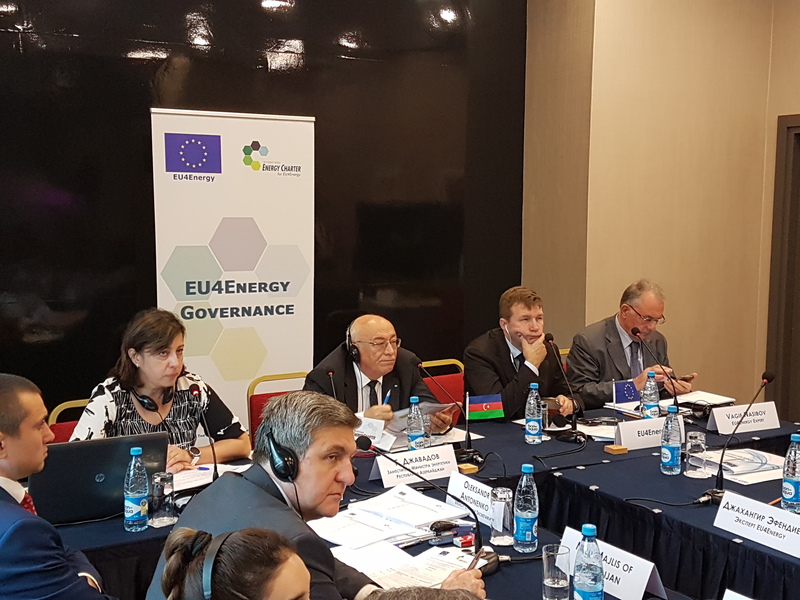 The event was organised as part of the EU4Energy – a European Union initiative that works with the eleven countries that make up the Eastern Partnership and Central Asian regions to support their energy policy-making. Under the EU4Energy umbrella, the Energy Charter Secretariat is cooperating with Armenia, Azerbaijan and Belarus in the elaboration of their policies and legislation related to energy efficiency.